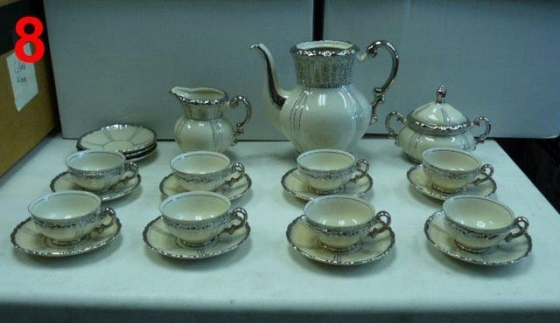 GERMAN TEA SET ~ MITTERTEICH BAVARIA ~ 1940\\\'s. Tea set for 6, pearl porcelain with real silver decoration. a little wear and tear to silver, each one has a green marked logo. ** BONUS ITEM: 6 - 8” Plates from Bavaria circa 1938 included in purchase.